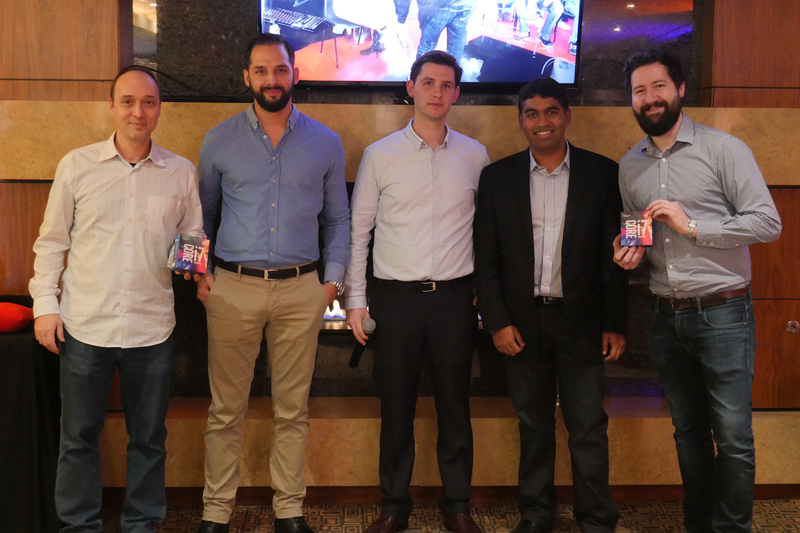 The first stop of the HWBOT World Tour 2017 will be during the annual CES 2017 event in Las Vegas in the U.S. HWBOT invites all members to take part in a Kick Off gathering and party, followed by the first Overclocking World Championship Qualifier of the year which be held at the GIGABYTE Suites at Caesars Palace. As with any HWBOT World Tour event, a major element involves some world-class, extreme, sub-zero Overclocking. Each extreme overclocking event of the tour is essentially a qualification round for the World Championship Finals at the end of the year. The contest winner will walk away some great prizes and a ticket to the Overclocking World Championship Final. Welcome to the first ever HWBOT World Tour event on the west coast of the USA. To ensure we start the HWBOT World Tour 2017 with bang, we kick things off at the ‘Performance Matters’ Kick Off Party preceded by an exclusive overclocking demo of the latest processor platform from Intel. The event will be a celebration of overclocking, the OC community and the industry partners that support it. As a demonstration of the global reach of Overclocking, five overclockers from five different regions of the globe will be in attendance to give an Overclocking demonstration using using the latest Intel platform, motherboards and memory from five different vendors and five different benchmarks. From 8pm onward attendees of the event will be able to enjoy a Kick-Off Party to celebrate the start of the HWBOT World Tour 2017. A free bar with food and drink will available to all media and industry partners and all overclockers in attendance. On the second day of the HWBOT World Tour event several of North America’s most feared and respected Overclockers battle it out across three benchmarks in just three hours. The top four will be invited to return for the Semi-Finals on the following day. At the same time, the HWBOT staff will be hosting overclocking workshops to teach and demonstrate to media and visitors the overclocking capabilities of the latest Intel CPU’s on Gigabyte’s new motherboards. 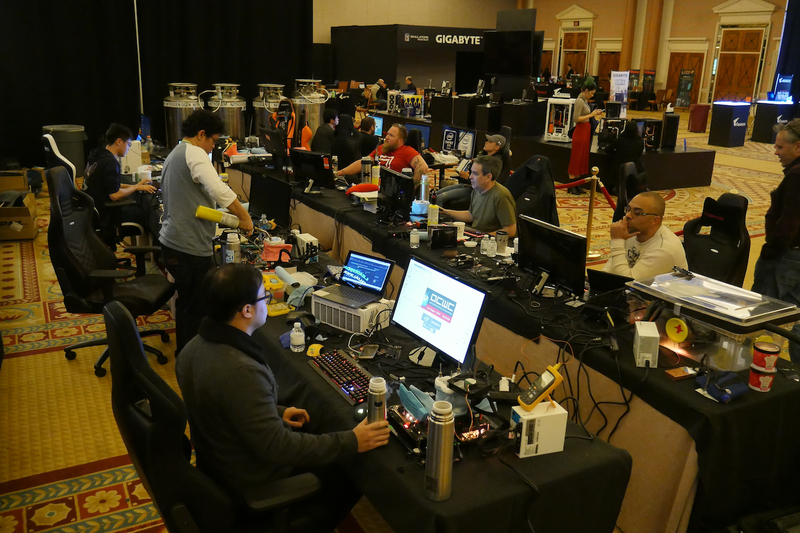 Day three of the HWBOT World Tour event at CES will see the top four overclockers compete a unique contest format that pits contestants against each other in a 1v1 format. Benchmarks will be randomly drawn from a pool of selected benchmarks. Each overclocker will possess one veto which can be used strategically to avoid an unfavorable benchmark being selected. You can learn more about the contest rules here. For this event we are proud to cooperate with Xtreme Systems. The mythical overclocking forum and his owner Charles “Fugger” Wirth who offered his help and assistance with the intricate logistics of getting Liquid Nitrogen into the Las Vegas hotel suites. Big shout out to him and the whole American overclocking community. GIGABYTE Suites, Caesars Palace, 3570 S Las Vegas Blvd, Las Vegas, NV 89109. Palace Ballroom 1-2 (Promenade level – 3rd Floor). For the Extreme overclocking activities, you are required to book a seat via this evenbrite event page. NOTE: The tickets are sponsored by our main partners and will be refunded upon attendance. Thanks GIGABYTE!